Canine Manners is a dog training company with a difference. With fully qualified trainers covering a wide range of skills, we have classes and workshops for all dogs and their humans. We also offer free charity places for dogs awaiting their forever homes. 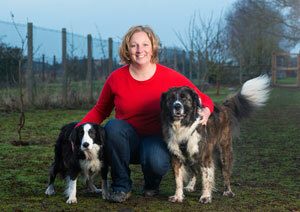 Luci grew up in Derbyshire with border collies and has always had a passion for dogs and their well being. Whilst having a successful career in the TV industry, she began studying canine behaviour in her spare time, taking courses and attending seminars with the IMDT (Institute of Modern Dog Trainers) of which Luci is now a Full Member. Luci holds a Diploma in Canine Behaviour & Psychology, is an accredited instructor of The Real Dog Yoga, and holds a OCN Level III 'Principles of Dog Training And Behaviour' qualification. She completed a 2016 Mentorship with the IMDT working with Chairman Steve Mann in 2016. She is passionate about creating positive and charitable change for dogs. Luci enjoys teaching tricks workshops and has a passion for working with reactive dog cases, and doing scent work with her own dog. When not covered in dog hair, Luci enjoys running dog Motown and planning her next adventure holiday. Naomi grew up in a small village in Hertfordshire, and after rescuing and rehabilitating an Irish wolfhound and watching the transformation in its character Naomi developed her passion for dogs, spending her childhood roaming the trails of Ashridge Forest with first her rescue dog and another two Wolfhounds. After giving up a career in catering to start a family, Naomi rescued her own dog, a labrador cross named Milly, along with Martha, a staffy cross, whilst studying at the Open University. Naomi is a qualified member of the IMDT (Institute of Modern Dog Trainers), and has a qualification in Canine Psychology as well as being a qualified Scent Dog Handler with the UKCSD (UK College of Scent). 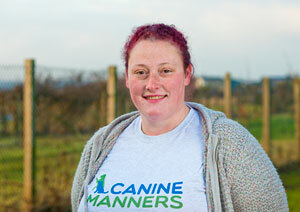 Naomi has taken several CPD courses including practical dog training and aggression rehabilitation with the IMDT. In her spare time Naomi loves cycling, swimming and having adventures exploring Biggleswade common and Bedfordshire woodlands with Milly, Martha the staffy and her three daughters. Pierre hails from Jo'burg, South Africa, where he grew up with rescue bull breeds, learning about rehab and rescue with his best doggy chum, Buddy. Pierre runs The Barkley, a successful local Dog Hotel & Day Care business which he opened in 2014, following on from a career in print design, and has never looked back. 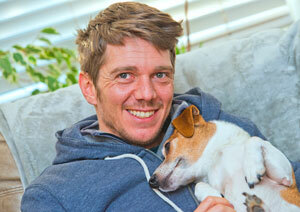 Pierre is passionate about dogs, and likes exploring the pathways of Bedfordshire with his day care dogs. Pierre trains dogs in using positive reinforcement and likes teaching all dogs new tricks. Pierre has taken courses in practical dog training, and tracking with the IMDT and has attended various canine behaviour seminars. Pierre's areas of interest include tracking, scent work and tricks. When he's not looking after dogs or at a training class, Pierre enjoys his veg garden, looking after his chickens and ducks and learning about being self-sustainable, kite-flying, and playing Playstation.